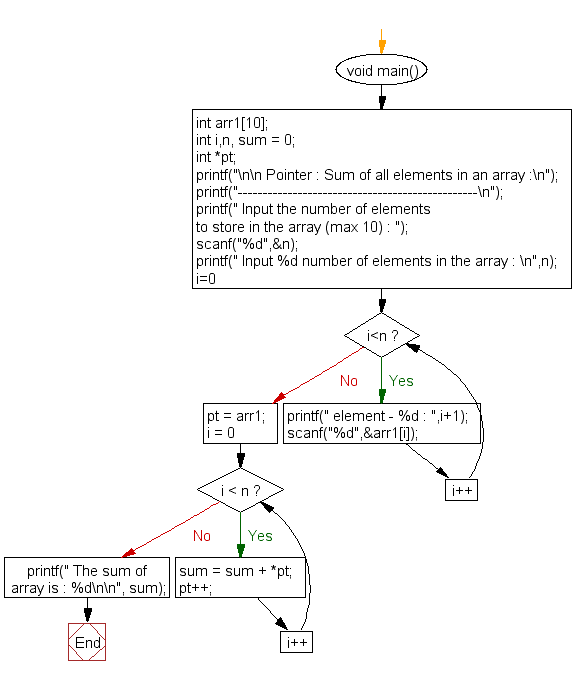 Write a program in C to compute the sum of all elements in an array using pointers. Previous: Write a program in C to show how a function returning pointer. 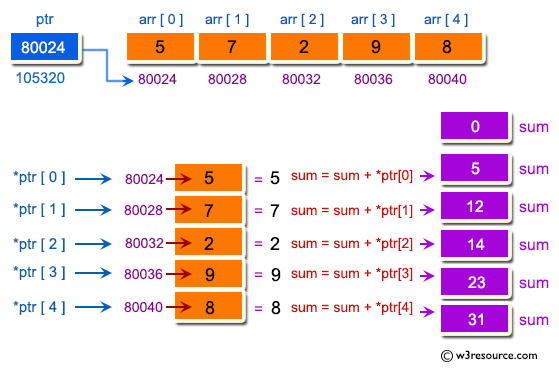 Next: Write a program in C to print the elements of an array in reverse order.